In electronics, conductance is a measure of the current produced through a circuit element for a given applied voltage. Usually denoted by the letter G, conductance is the reciprocal of resistance, R. The unit of conductance is the siemens (S). The conductance of an conductor depends on many factors, including its shape, dimensions and a property of the material called its conductivity -- usually denoted by a lowercase sigma. For a wire with cross-sectional area A, conductivity "sigma," and length L, the conductance is G = (A x sigma) ÷ L.
Suppose a particular circuit element has a resistance of 1.25 × 10 ^ 3 ohms. Because conductance is the reciprocal of resistance, we can write : G = 1 / R. Therefore, G = 1 / (1.25 × 10 ^ 3 ohms) = 0.8 × 10 ^ 3 siemens. Consider this example: A voltage (V) of 5 volts generates a current (I) of 0.30 amps in a particular length of wire. Ohm's law tells us that resistance (R) can be easily determined. According to the law, V = IR, so R = V ÷ I. Since conductance is the reciprocal of resistance, it is equal to I ÷ V. In this case, it's 0.30 amps ÷ 5 volts = 0.06 Siemens. 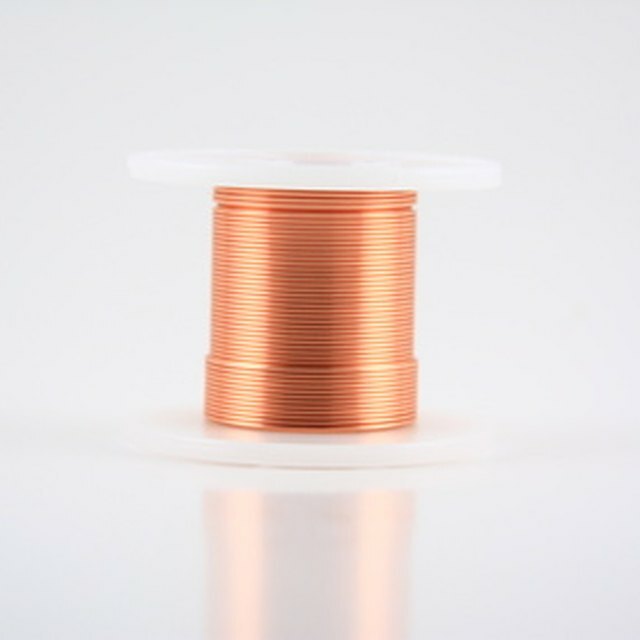 Suppose you have a wire with a round cross section that has a radius r and length L. If you know the conductivity (sigma) of the wire material, you can find the conductance (G) of the wire. The relationship between them is G = (A x sigma) ÷ L, and since cross-sectional area is πr2, this becomes G = (πr2 x sigma) ÷ L.
Find the conductance of a round piece of iron with a cross sectional radius of 0.001 meters and and length of 0.1 meters. Iron has a conductivity of 1.03 × 107 siemens/m, and the cross-sectional area of the wire is 3.14 X 10-6 m. The conductance of the wire is then 324 siemens. Table of conductances and temperature coefficients. Balter,, Ariel. "How to Calculate Conductance." Sciencing, https://sciencing.com/calculate-conductance-5155205.html. 17 April 2018.